Managing the risks involved in the working environment is always necessary in order to protect workers and to maintain compliance with health and safety legislation. In terms of thermal protection, a wide range of Personal Protective Equipment (PPE) clothing exists, typically produced from inherently heat and flame resistant materials. Note that these dual “EN ISO” standards also held a “presumption of conformity” within the European Union, against PPE Directive 89/686. However, further work may be required before a similar presumption can be confirmed against the new European PPE Regulation (EU) 2016/425. EN ISO 11611 and EN ISO 11612 are specifications for garments providing protection against heat transmission as well as against flame spread. ISO 14116, however, is a specification for resistance to flame spread garments only. Other international standards for clothing protecting against heat and flame are available such as those produced by ASTM for the USA, and AS/NZS (for Australia and New Zealand), but these are not considered in this article. Often, heat and flame protective clothing can meet more than one standard and additionally comply with other clothing protection standards such as EN ISO 20471:2013 (high visibility), IEC 61482 (thermal hazards of an electric arc) and EN 13034: 2005 (chemical protection). SATRA can both test and certify garments to these international heat and flame standards that have mandatory garment tests for properties such as limited flame spread, seam strength, and design. Other claims can come from tests on the outer fabric. All three standards share the same flame resistance test (Limited Flame Spread)- ISO 15025, which requires garment testing before and after pretreatment or cleaning in line with the manufacturer’s instructions. Washed seams are tested along with all outer materials, which include retro reflective tape, hardware (e.g. zips) and badges etc. Single-use/disposable or leather garments are exempt from this pre-treatment. In order to be fully compliant with these standards, manufacturers need to have the garments tested after pre-treatment processes based on the care labels and the user information the manufacturer intends to apply to the garment. The care label should specify the type of cleaning treatment, the temperature and the maximum number of cleaning cycles the garment may undergo before its protective performance no longer complies with the standard. For example, a care label for a protective garment might specify that the garment should be industrially laundered at 75°C and also that the garment should be discarded after 10 cycles because it may no longer be adequately protective. A test house responsible for testing this garment would then carry out testing after 10 cycles of industrial washing according to ISO 15797 at 75°C. If the manufacturer has not specified a maximum number of cleaning cycles, then these standards specify as a default, five wash cycles. In such cases, however, the manufacturer must refer to this number of laundry cycles on the care label and information for use leaflet, which should be supplied with each garment. In the case of CE marked garments for the European market it is mandatory that this information for use leaflet accompanies each garment when sold. Should it be the case that the manufacturer decides the garment should not be laundered, the care label must display negative symbols only (i.e. symbols with crosses through them), for example, do not launder/do not dry clean. Inherently flame retardant fabrics should not lose their limited flame spread properties provided a buildup of contamination is avoided. Similarly, correctly treated flame retardant fabrics should keep their limited flame spread properties until after the garment has deteriorated through a combination of use, wear and cleaning. Manufacturers may wish to emphasise this in their use. In terms of specific claims about limited flame spread properties and thermal protection properties, the manufacturer should only make claims that can be backed up by test data. For example, if a manufacturer’s user information leaflet states that a garment can be washed 25 times, it is stating that the garment will be adequately compliant with the standard up to this point. In essence, any testing of such products is simply testing the claims made by the manufacturer, on both the label and in the user information. The label should state the maximum number of washes (here, 25). This standard is for protective clothing for use against heat and flame, preferably made from flexible materials, is to protect the wearer’s body, excepting the hands, head and feet. It does, however, include gaiters, hoods and overboots. Typical clothing is a coverall /boiler suit or jacket and trousers. Other clothing for specific parts of the body, e.g. neck curtain, hood, apron, can be tested and certified alongside the suit/ coverall that they would be used in conjunction with. The test for heat transmission from a radiant heat source has four levels, but the others have three levels. Heat transmission tests are concerned with measuring how hot the inside surface of a garment gets when a heat source is applied to the outer surface of the garment. An optional, whole garment test procedure is also included for prediction of burns, using a thermal manikin. The manikin testing should be carried out according to EN ISO 13506 at a heat flux over the manikin surface of 84 kW/sqm. When required, garments intended to protect against the thermal hazards of an electric arc should be assessed according to IEC 61482-2, which includes specific design requirements plus performance requirements and test procedures for the assessment of fabrics and garments against an electric arc. Physical tests common to the standards EN ISO 11611 and 11612 include dimensional stability to washing, tensile strength, tear strength, seam strength and burst strength of knitted fabrics. Any claim for molten metal splash or higher levels of heat transmission will mean that the garment falls under Category III of the European PPE Regulation and therefore requires monitoring of manufactured production by a European Notified Body. This can be via annual check testing or auditing of the factory production control system. 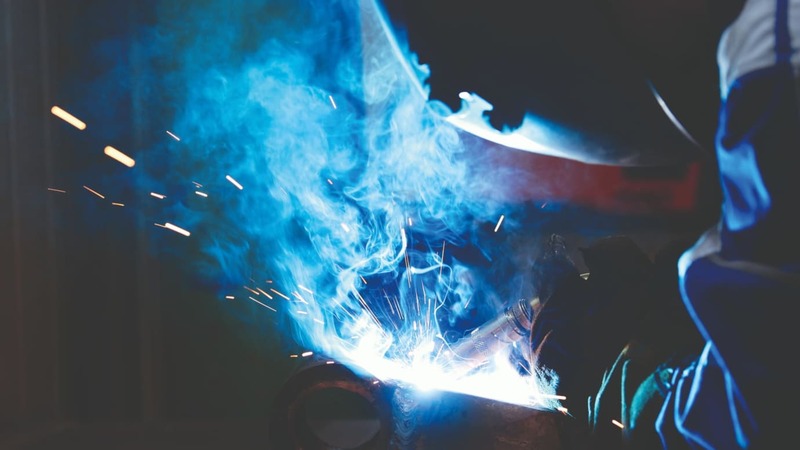 This standard covers the requirements for protective clothing for use in the welding and allied processes and includes hoods, aprons, sleeves and gaiters. This standard does not cover requirements for feet, hand, face or eye protection. Clothing will also minimise the possibility of electrical shock by short term, accidental contact with live conductors at voltages up to approximately 100V dc. This standard has two classes. ISO 11611 includes two heat transmission tests, both of which should be carried out on material from the test garment, i.e. impact of molten metal droplets, and resistance to the transfer of radiant heat. The test results are classified according to the performance achieved into either class 1 (providing the minimum requirements for class 1 are achieved) or class 2 (providing the minimum requirements for class 2 are achieved). The introduction of this classification allows some flexibility in designing and specifying welders’ garments. It allows manufacturers to produce lighter weight garments for situations where heat loads are relatively low and heavier duty garments with greater protection against thermal hazards for use in areas exposed to higher levels of spatter or higher heat loads. The standard includes an informative annex in which appropriate welding operations are suggested as suitable for each class of garment. Garments certified to EN ISO 11611:2015 shall bear labels that include the “welding hazard” pictogram and the appropriate class. This standard is for protection against flame for materials, material assemblies and protective clothing when in occasional and brief contact with small flames. Should protection against heat hazards be needed, EN ISO 11612 is relevant. Clothing’s outer surface should have limited flame spread index of 1, 2 or 3 when tested in accordance with ISO 15025. A garment is tested before and after pre-treatment with the seams, hardware and all outer materials tested. The limited flame index shall be the lower value determined before or after pretreatment. No specimen shall give off flaming or molten debris. The only other test requirements are physical tests - tensile, tear, burst and seam strength along with dimensional stability. Garment labels and information supplied will include the limited flame spread index and the presence of any index 1 material indicated with contact with the skin avoided. A claim to EN ISO 14116 does not permit the use of the heat and flame pictogram and no pictogram is used. Both EN ISO 11611 and 11612 require that the coverage provided by protective suits, either one piece or two piece, covers the upper and lower torso from the neck to the wrists and to the ankles. Other standards cover PPE for the hands, feet and face. Additional protective items such as aprons, sleeves etc. can be tested and certified to these standards, but should only be used as additional protection on top of a compliant coverall or two piece suit. For welders clothing according to EN ISO 11611 and for EN ISO 11612 clothing designed to protect against splashes from molten metal, specific design features are required, for example: cover pockets with flaps except for vertical side pockets below the waist and behind the side seam; ensure no upward facing seams are present. The coverage and design requirements in EN ISO 14116 are somewhat less onerous. Perhaps the most important requirement is that index 1 materials (basically those materials that sustain holing in the flame ignition test) must be positioned so that they cannot come into contact with the bare skin of the wearer or a non-compliant under garment. If a garment consists completely of index 1 material then it must be worn on top of index 2 or index 3 material. Similarly, a multilayer garment may consist of an outer shell of index 1 material, but the innermost lining that would be in contact with the wearer must be in index 2 or 3 material. For manufacturers intending to supply into Europe, the products covered by the three standards are category II of PPE as detailed in Regulation (EU) 2016/425. This means that before they can be placed on the EU market they must be subjected to a type examination by a notified body and CE marked. Where the garment offers protection against certain hazards such as very high levels of radiant or convective heat, the thermal effects of an electric arc, or resistance to large splashes of molten metal they would be regarded as category III PPE. In which case in addition to a type examination they also require on-going testing or regular audits according to either Module C2 or Module D of the Regulation. As a Notified Body SATRA is also able to certify such products to the European PPE Regulation and in the case of category III products SATRA is able to carry out the ongoing production monitoring for such garments. Notified Bodies are European-based organisations that have been appointed by Member State governments and notified to the European Commission on the basis of their ability to carry out the examinations and tests required for CE marking of PPE under Regulation (EU) 2016/425. They must also be independent, impartial, have a high level of professional indemnity insurance and be subject to routine surveillance at regular intervals. It is possible to identify which Notified Body has certified a product because their name, address and unique number has to be displayed on the accompanying user information. Steve Hardcastle works in the Product Certification Department at SATRA and is involved with all types of industrial protective clothing.